An Uber car hit and killed a woman this weekend while it was in “autonomous” mode, according to police in Tempe, Arizona. Uber confirmed in an announcement today that a person was killed but provided few other details. “We’re thinking of the victim’s family as we work with local law enforcement to understand what happened,” Uber CEO Dara Khosrowshahi said on Twitter. Police confirmed that Uber would be assisting with the investigation. Tempe Police told reporters that the Uber car had a human safety driver inside but was in autonomous mode when it struck a woman walking across the street. The woman was identified as 49-year-old Elaine Herzberg. She was reportedly walking her bicycle across the street, outside of a crosswalk, when she was hit. Uber moved its fleet of self-driving cars to Arizona in late 2016 because the company argued it should not have to comply with California regulations over self-driving vehicles. The California Department of Motor Vehicles mandates that companies testing self-driving prototypes apply for a $150 permit that designates the cars as test vehicles. California also requires companies to report all crashes involving their test cars. The information is then published on the California DMV website. Uber, much like the other automotive and tech companies testing self-driving technology, has repeatedly claimed that self-driving or autonomous cars will make roads safer. “This is why we believe so much in making the roads safer by building self-driving Ubers,” one spokesman told the site Ars Technica last year after the company came under fire for a video that surfaced online showing an Uber Volvo running a red light. Uber at the time blamed its human tester for the traffic violation, but the New York Times later uncovered company documents describing six instances in which Uber prototypes ran red lights while in “autonomous” mode. In December 2016, Uber announced that it was making its self-driving luxury Volvo available to consumers who hail its UberX service in San Francisco. But the company never bothered to register its Volvo prototypes under California DMV’s autonomous testing program, sparking the agency to send Uber a cease-and-desist letter several hours later. Facing negative press over not complying with California’s regulations, Uber described its technology as an “Advanced Driver Assist System” that should not be subject to self-driving regulations because a human tester would still be sitting in the driver’s seat. Uber argued that a car with a human tester inside was wildly different than a self-driving car, even though other brands testing registered self-driving cars in California also deploy human safety testers in the driver’s seat. Arizona Gov. Doug Ducey then responded publicly with a plea suggesting that regulations would be more lax in his state: “California may not want you, but we do,” he said in an announcement. 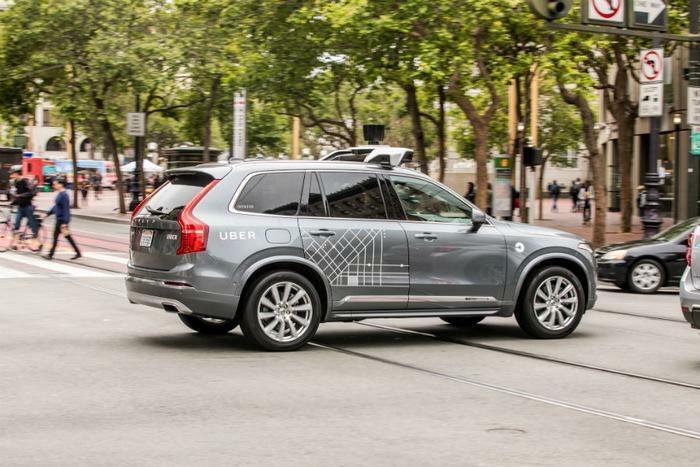 Uber took him up on the offer, and three months later, an Uber Volvo in autonomous mode was involved in a crash in Arizona that sent the Volvo on its side. But police said the other driver was at fault and nobody was seriously injured. Another crash in Arizona involving a self-driving Uber in September ended with a similar ruling from police that the Uber was not to blame. Though Uber continued testing its cars in Arizona, the company relented last year to the California DMV’s demands and agreed to purchase permits so it could resume testing in San Francisco as well.